Alongside the workshop on freeform knitting and crochet that I did on my recent holiday, I did two day workshops on Reticella and Mixed Embroidery. Reticella is an embroidered lace dating back to 16th century Italy. It is a drawn threadwork embroidery worked on linen. A frame is stitched using four-sided stitch, then an inner frame of satin stitch over a thread (for padding) to provide a firm outline. Threads inside the frame are then counted and certain of them cut out in a grid pattern; the threads left in place are secured with needle weaving and then filling stitches are worked using needle lace techniques. I have done needle lace before but have never done the drawn threadwork so this was a mixture of old and new techniques for me. 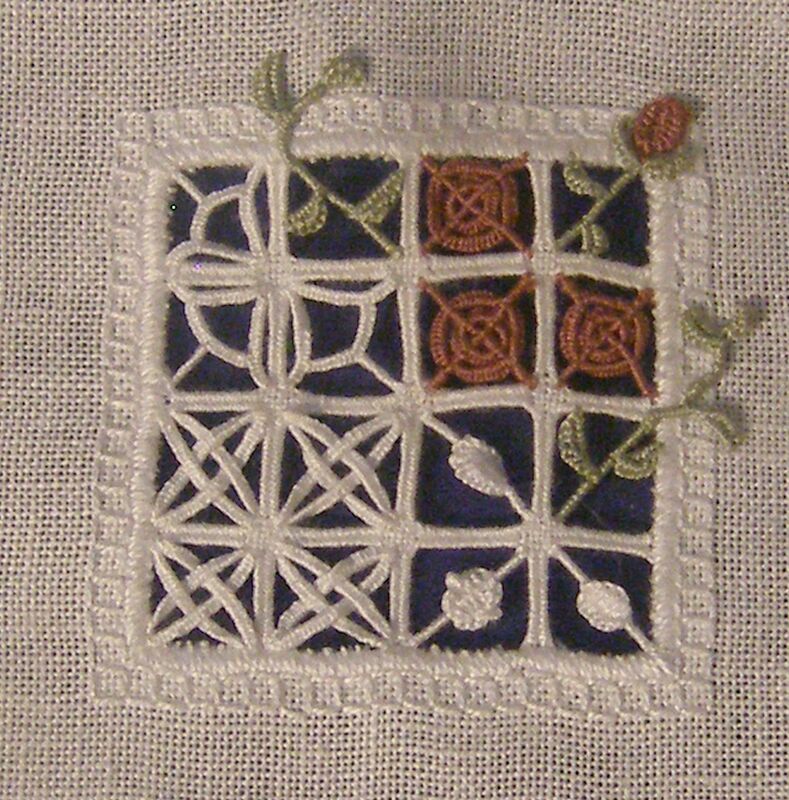 I completed a small square, using the stitches taught in the workshop but with my own choice of placement and modernising the traditional stitches with colour and by taking some parts outside the basic framework. 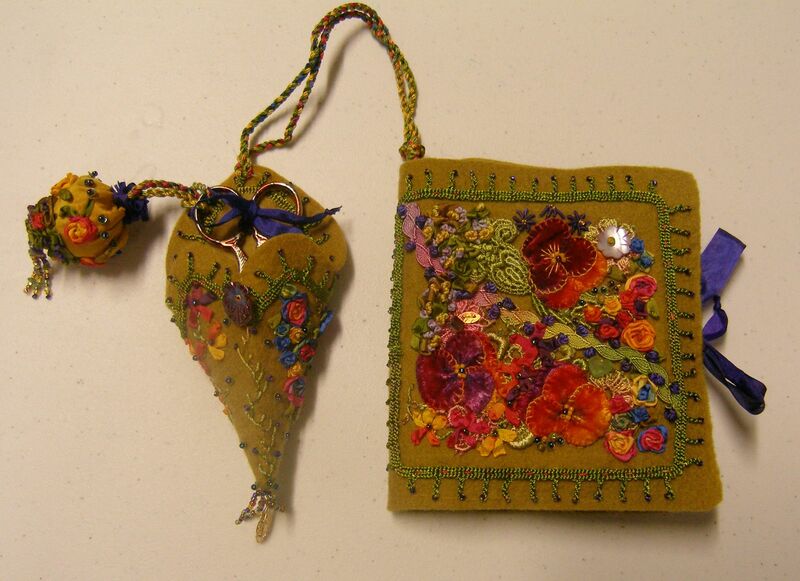 The other workshop was mixed embroidery to create a chatelaine consisting of a needle case, scissor keep and scissor dolly. All materials were provided in a kit from Colour Streams. The base material was felt and the surface was embellished with applique, beading, silk ribbon embroidery, bullion stitches and French knots. Bullion stitches and the silk ribbon embroidery were knew to me so it was good to learn these new stitches. It was hard to go wrong with this workshop. The kits provided were well colour coordinated and with the right materials it was easy to get a good result. The tutor described it as “doodling” with the different techniques.